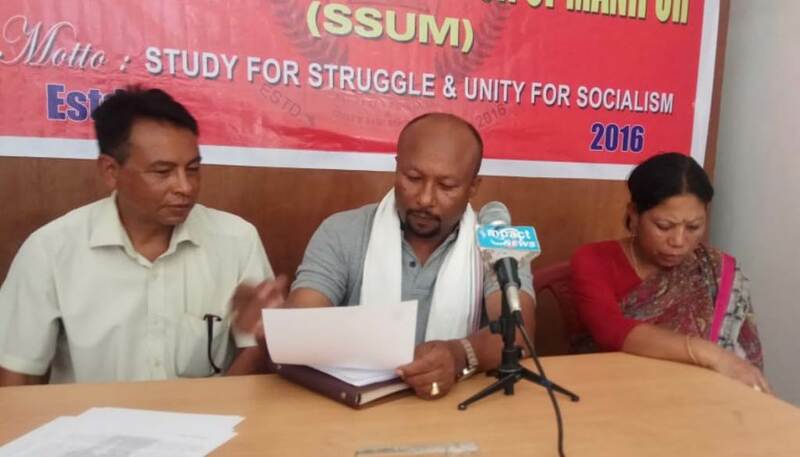 Imphal, April 13 2019: People Alliance of Manipur (PAM) who spearheaded the movement against the Contentious Citizenship Amendment Bill (CAB) in Manipur today appealed the people of Manipur to boycott BJP for its manifesto which assured to pass the contentious CAB if they come to power in the upcoming Lok Sabha Election. He further questioned BJP how they see the people of Manipur as they further tried to pass the anti people CAB which will wipe out the native people and will destroy their identity thereby neglecting various protest and agitations which was settle down a bit because of not tabling the bill at Rajya Sabha. In contrast to the various movements regarding the antiforeigner issue that has been doing since the 80s and to make a law for the natives, he said that BJP has ignored all the movements of the people where people have died because of it. He further highlighted the election manifesto which points out that the identity of the North East could be saved even though if the bill is passed and stated that such promise is a lie to the people of the state. SM Jalal concluded that introducing the contentious CAB in the election manifesto and assuring to pass it if they come to power again showed that BJP doesn't think about the welfare and the interest of the people and added that they stand against the people of Manipur.